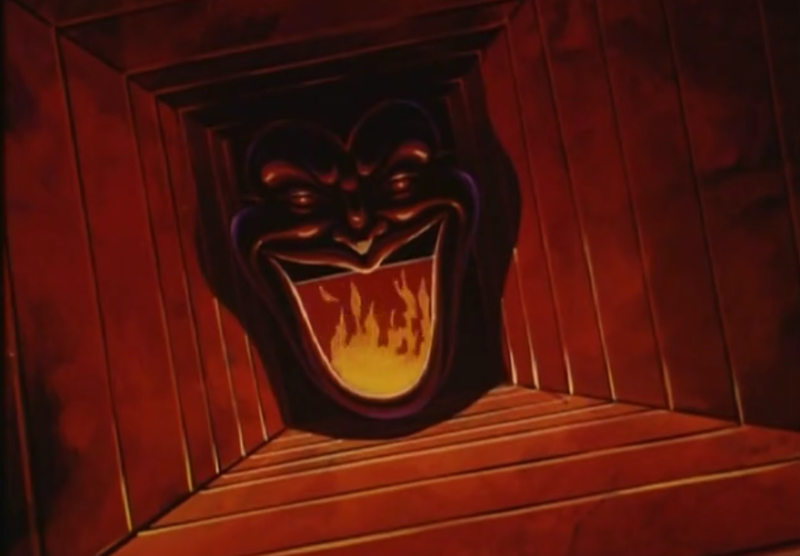 While I still haven’t picked an overall favorite episode yet — though Herring is definitely a strong contender — there’s no question in my mind that the series hit its pinnacle with a single sequence in this entry: When Batman and Robin slide toward their doom, zipping toward a fiery furnace bearing the ebony carved face of the Joker. It’s fantastic and for decades has remained the most memorable aspect of the entire series for me. 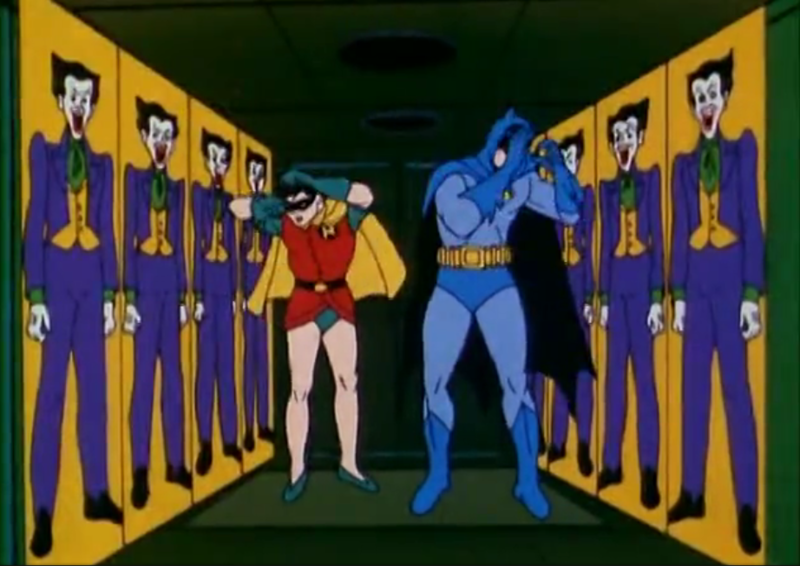 The set-up is simple: Batman and Robin get lured into a dark room and the Joker taunts them by flashing on full-size wall panels bearing his image. 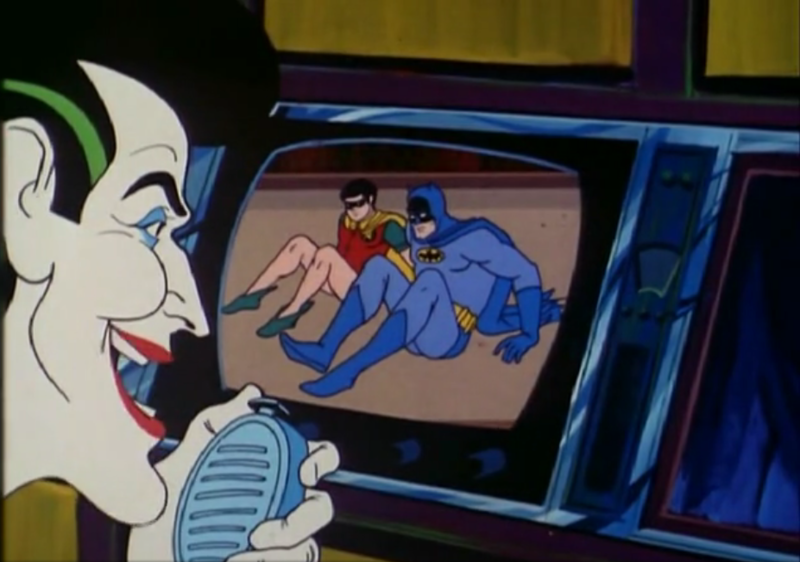 Anyway, there’s a lot more to recommend the episode and John and I also have fun with the highly questionable logic of the Penguin one-parter that accompanies it. 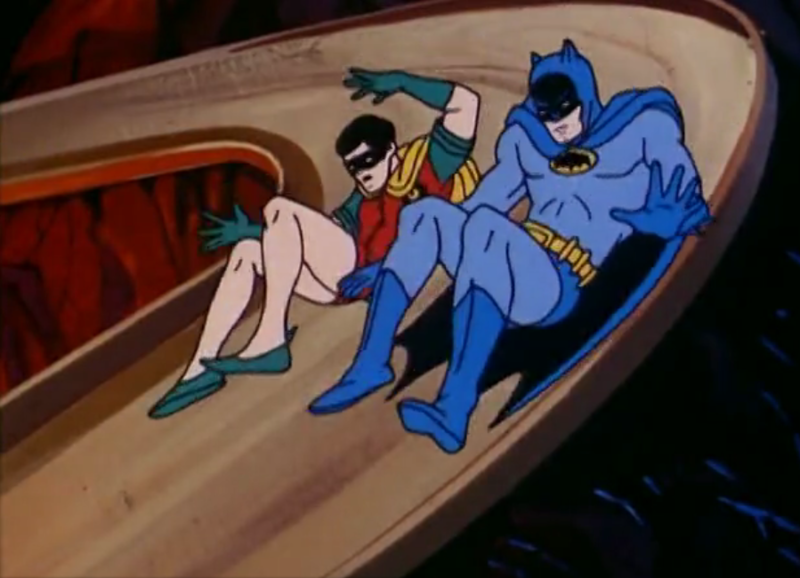 So head on over to The Batcave Podcast here or here or download it on iTunes. You’ll be glad you did. I agree How Many Herring in a Wheelbarrow? is a great episode! John Gart) background music delivers and the Joker’s face and sinister tone make the deathtrap seem even more deadly! The Batman/Superman Hour is smart, and well written and there is plenty of action. 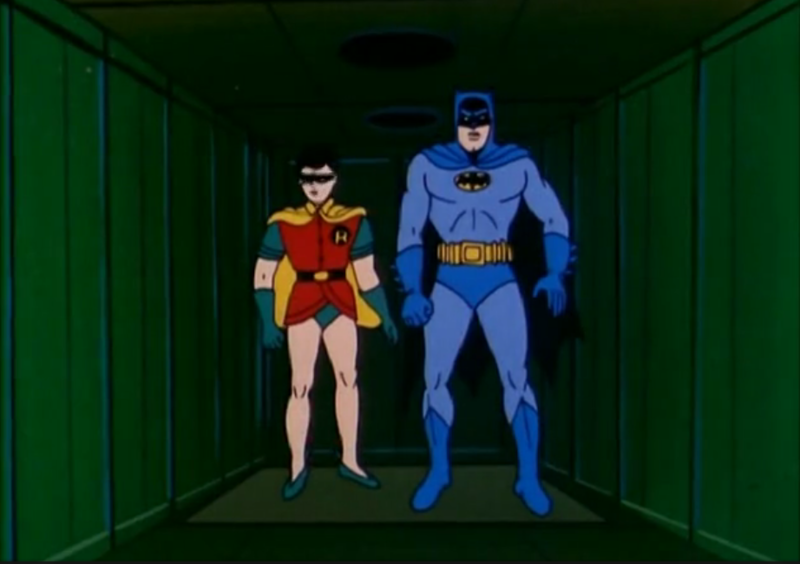 I talk about Filmation’s Batman and other Filmation Super heroes in my book – The Best Saturdays of our Lives. Love this post!